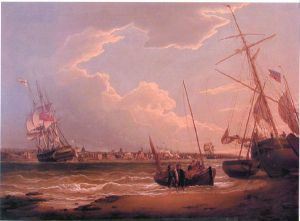 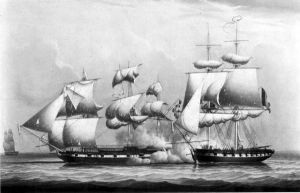 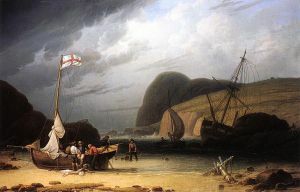 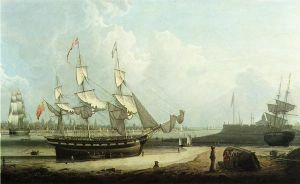 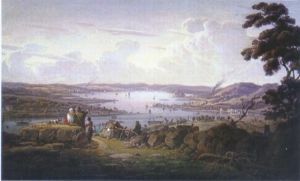 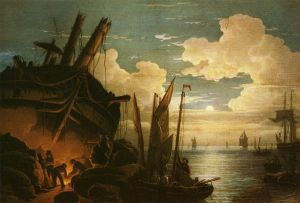 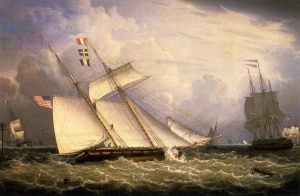 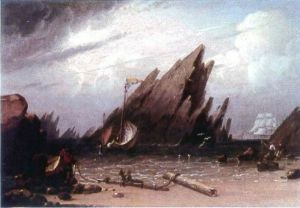 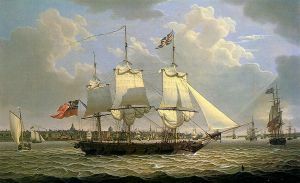 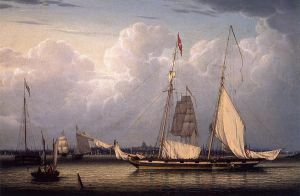 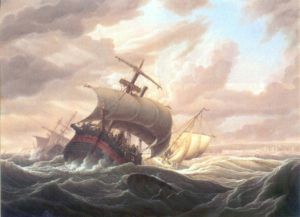 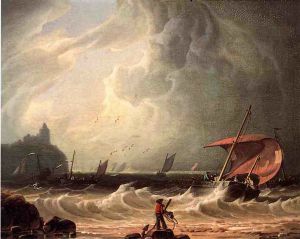 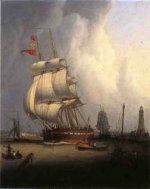 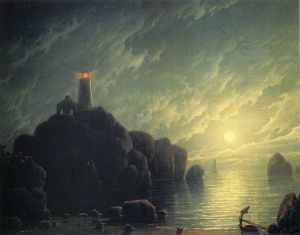 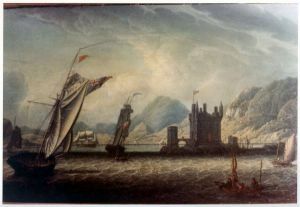 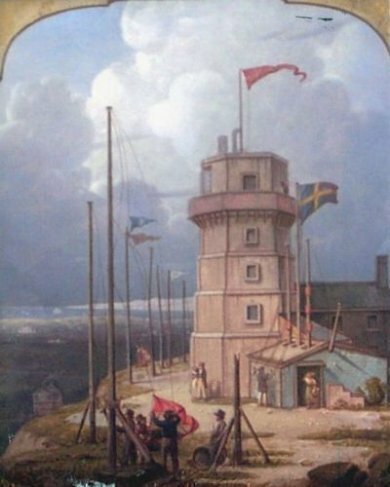 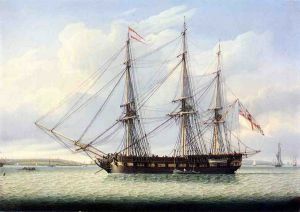 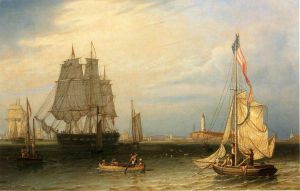 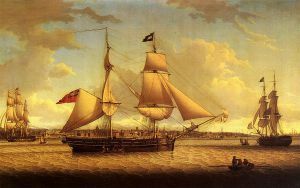 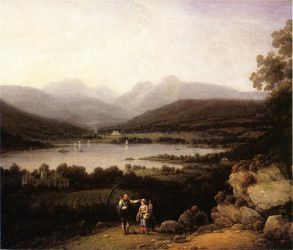 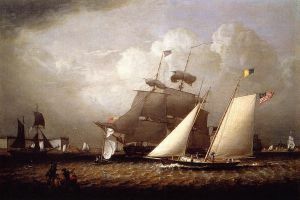 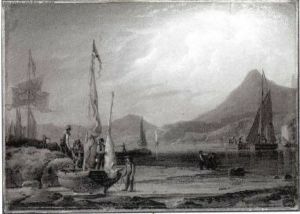 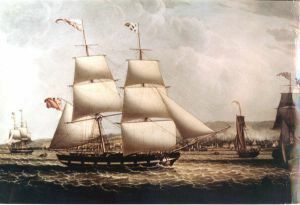 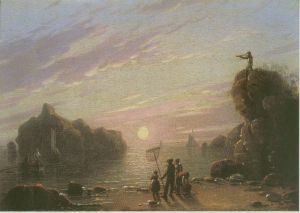 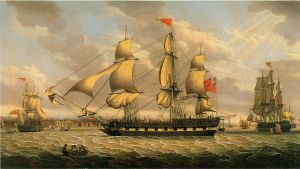 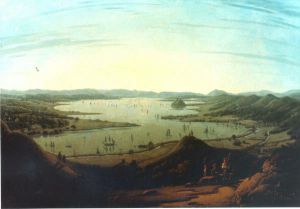 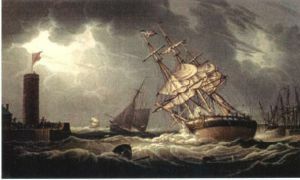 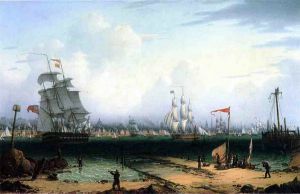 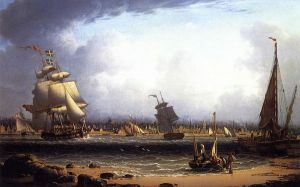 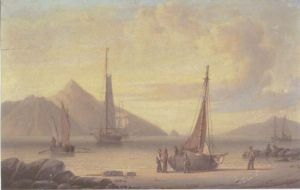 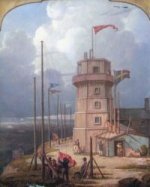 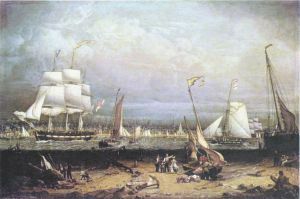 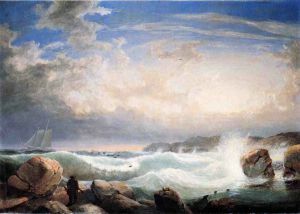 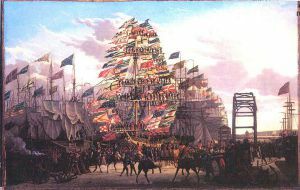 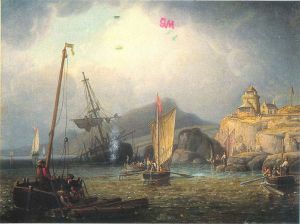 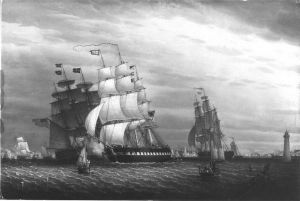 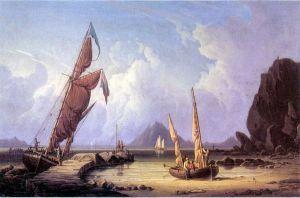 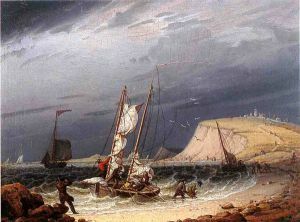 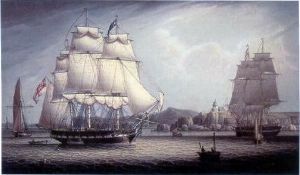 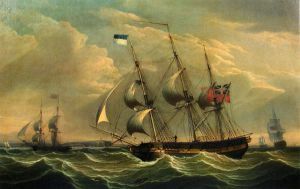 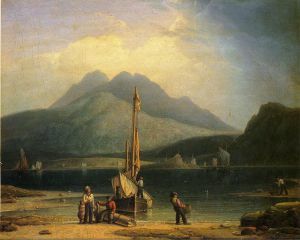 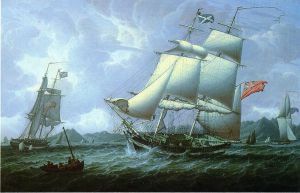 Robert Salmon (1775-1858) was a marine painter born in Whitehaven, Cumberland, England as Robert Salomon. 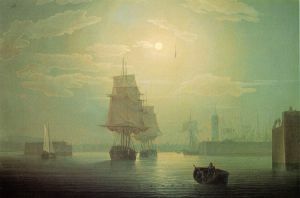 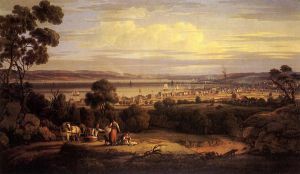 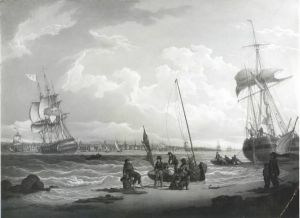 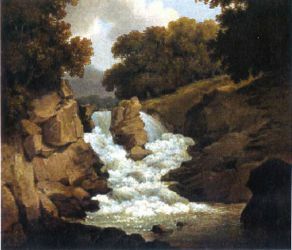 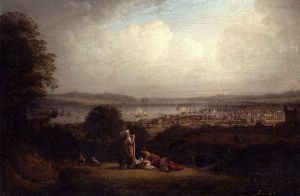 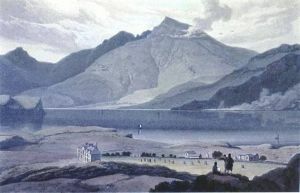 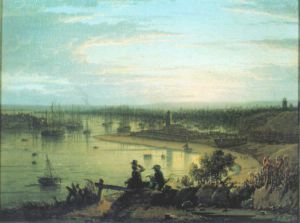 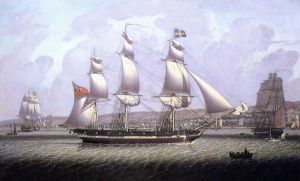 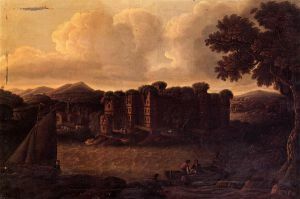 Salmon was living in London by 1800 and moved to Liverpool in 1806. 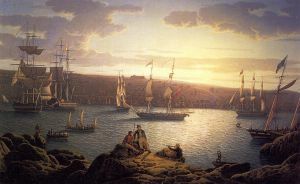 He emigrated to New York in 1828 and then settled in Boston in 1829.